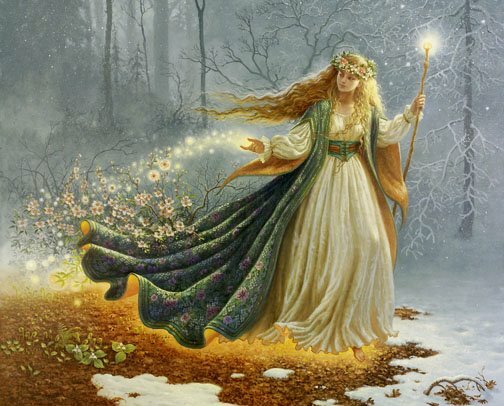 Today, January 31st is St Brigids Eve and tomorrow St Brigids Day or Imbolc is the all important festival of spring that marks the passage from the dark half of the year to the bright half, hip, hip, hooray, we made it! 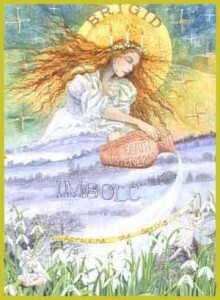 In honour of this most important and longest lasting figure from Irish mythology through pre and post Christian Ireland, lets consider her significance in how it might be relevant today. Preparing a great feast and making a St Brigids cross (a pre christian sun symbol made from rushes for protection of the home). Giving food to animals and the poor. Leaving food in an outside window for the goddess as she passed in the night bringing the sun in her wake. At least briefly lighting candles in every room to again signify the coming of the light. Making a doll of Brigid in a basket of early flowers like snowdrops and hanging a piece of cloth outside for the goddess to bless. Traditions upheld by people today...People still make ‘St Brigid’s Crosses‘ from rushes that grow wild everywhere and still visit places of pilgrimage associated with Brigid including here in Ballinamore, Co Leitrim where she is supposed to have visited. Tomorrow on the first day of spring, hundreds of people will make the walking pilgrimage to ‘St Brigid’s Well’ just as they have done since time immemorial. I like the ancient traditions. I think we should bring some of those back. 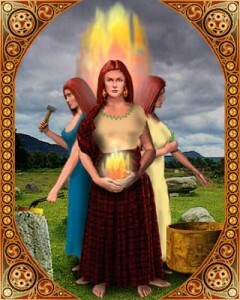 In Irish mythology Brigid was the daughter of Dagda, king of the ancient race of Ireland, the Tuatha de Danann. Symbolised by fire and represented by the sun, the goddess, sometimes depicted as one of three sisters was revered and worshipped for thousands of years. Much later in AD450 the girl who would become the legendary healer, missionary, leader and eventually saint was born in Co Louth. 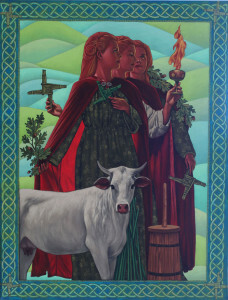 Even without considering the many miracles attributed to Brigid it’s clear she was an extraordinary person widely accepted as a remarkable, charismatic leader and administrator and later, the centre of popular devotion in Ireland. Sadly due to the rigours of male dominated religious organisations a patriarchal society defined by inequality emerged and sadly is still what we live with today. 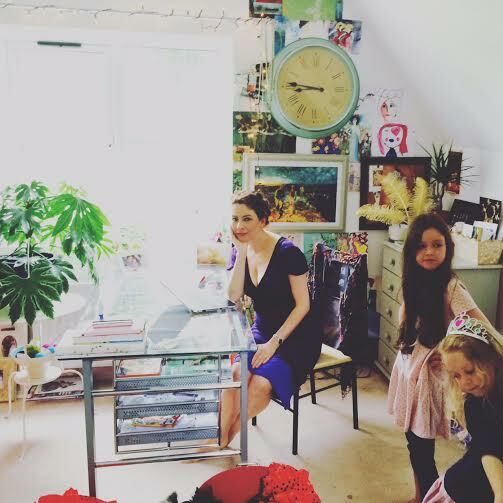 Today in the spirit of Brigid, the goddess & woman and on this the eve of her feast, in the coming of spring, the season of light, birth and hope I’m highlighting just a few of the grassroots movements that are happening across the world, making female equality this years hot topic. 2. The office of the UN Special Envoy for Global Education is also highlighting their A World At School campaign through its website and on Facebok and Twitter. Its aim is to continue to campaign against child labour and child marriage and for a world at school. Click HERE to add your name to that cause. What can I say? I love this, every single word and image. What a beautiful piece to read tonight. This post brings back so many memories of the excitement of going to St. Brigids Well. I still have the St. Brigids Cross that Eithne made for me when we were all young girls. It’s a bit faded and brittle but treasured all the more. Have a blissful weekend.